Eve Tam. Courtesy the Hong Kong Museum of Art. The art community pivots to Asia this month, with the return of Art Basel to Hong Kong—a city witnessing a surge of new galleries and institutions, each vying for the attention of the Asian market and global art world. 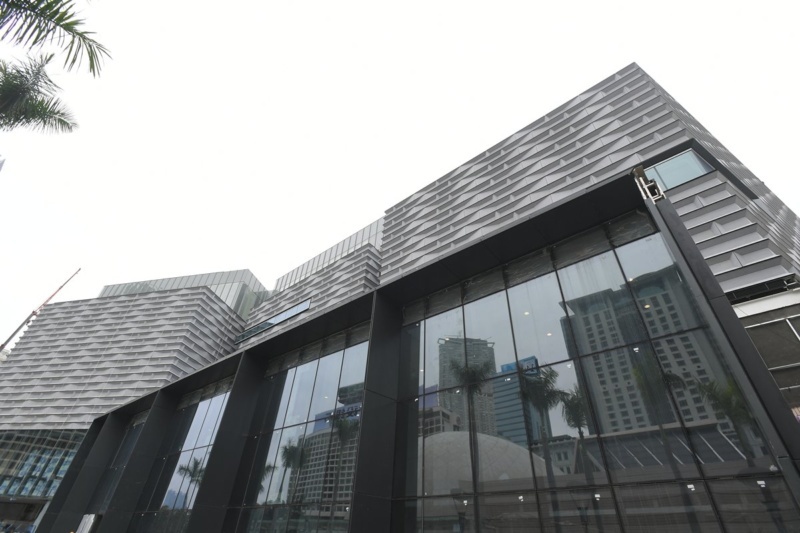 In spite of these newcomers, it is the colonial-era Hong Kong Museum of Art (HKMoA) that sits squarely across the harbor from the convention center that houses the fair. The city’s oldest formal art space is set to have its own re-debut later this year, following an extensive renovation project spanning four years. I met with Eve Tam, the HKMoA’s incisive director, to discuss the museum’s legacy and future. Along the way, Tam also shared her thoughts on Art Basel Hong Kong, as well as what she’s looking forward to seeing during the fair week. The HKMoA was established in 1962, and its current location was constructed in 1991. Has the museum’s mission shifted at all since its founding? Back in 1962, there were no formal exhibition spaces in Hong Kong. Most artists exhibited in hotels, cathedrals, or restaurants. The HKMoA provided a platform for professional artistic exchange, helping pull together the Chinese and Western art worlds. The period from the ’60s to the ’80s witnessed not only the growing of Hong Kong as a ‘modern city’ per say, but also the growing of Hong Kong’s Modern art, which we helped nurture. Then from the ’90s onward, the city turned into a cosmopolitan city, and we brought in blockbuster exhibitions from around the world. The Hong Kong Museum of Art overlooks Victoria Harbour. Courtesy the Hong Kong Museum of Art. At this moment, we are witnessing a worldwide globalization. New York, Hong Kong, London, and Tokyo: we are all global cities, somehow looking quite similar. The same artworks are everywhere. Our thinking is that the way we can [present] a unique position of art experience is by going back to the local. So, we’ll focus on the local, and explore global issues in this context. 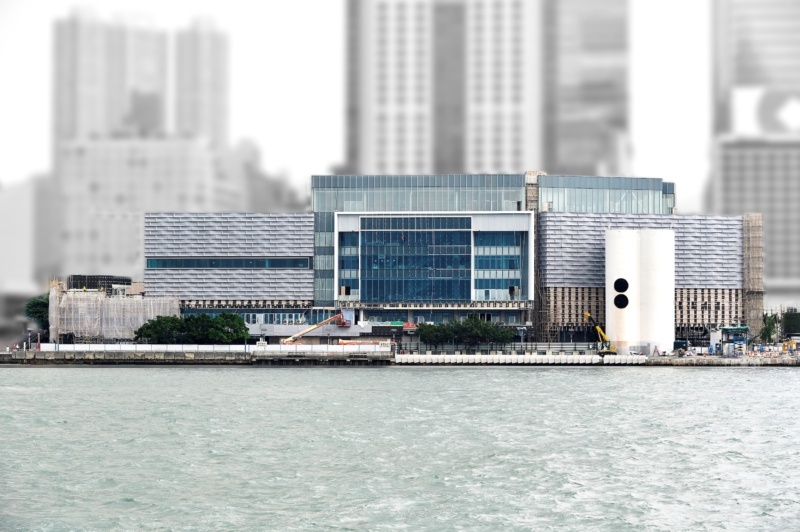 Aside from that, what are some defining features that will distinguish the HKMoA from the new institutions that have been taking shape since your renovation began? The HKMoA has a long history. Our collection is a reflection of the city’s legacy; almost half of [it] comes from donations, mostly from within Hong Kong. The museum is a reflection of the city’s strategic position—financially, geographically, economically, and historically. I think one of the emphases that we really want to highlight when we reopen is our identity as a homegrown museum, which was cultivated by our relationship with the city. It’s interesting to think about the HKMoA’s long legacy, because I don’t know whether it is a misconception that its foreign entities like Art Basel that are livening up the art culture here. Well, the art world is changing; the audience is changing as well. There are a lot more art spaces now than when we were first built, so the ecology is changing. The art fairs, of course, help build Hong Kong’s art market, and there are always good and bad effects on the art community. When I first entered the museum sector, there were just a handful of professional artists. There are more and more young artists who can afford to be full-time artists than ever before. I would say that, in general, it is more vibrant and energetic now. The Museum. Courtesy the Hong Kong Museum of Art. What is something that you are excited to see during the upcoming fair week? There are two shows [featuring local artists Pak Sheung Chuen, Zheng Bo, MAP Office, Lawrence Pun, and Leung Chi Wo] opening at Oi!—a historical yacht club-turned-art-space, which is quite chic. Let’s speak now about the HKMoA’s new architecture. Could you tell me about that? In the past, the museum was very much like an enclosed box. You couldn’t see through the museum, and the entrance was on the [second] floor. People had to go up some stairs, similar to the British Museum and the Met. It’s a temple-like concept, where you walk up to prepare yourself psychologically to receive something different from what you experience in daily life. In the new museum, you’ll be able to enter right from the ground level, from multiple entries. Another of the new museum’s key design elements is to make better use of our harbor view, and to make it so that we can see the city and the city can see us. Times have changed, and we are all talking about accessibility and also transparency. We are also expanding with a new gallery with 270-degree city views, mainly for contemporary art works. That’s exciting! So, you’ve been at the HKMoA since 1994. What do you consider your proudest moment to date? Well, certainly the opening of the new museum!